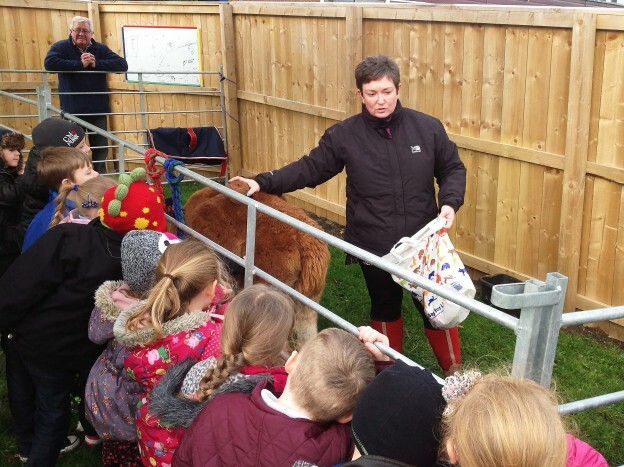 Angela, a neighbour who helps keep an eye on our herd, is Chair of Governors at Moorside Primary School in Consett. 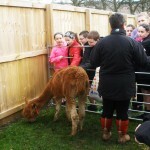 She arranged for us to take along Godiva and her new cria Eliza to meet the school children face to face. 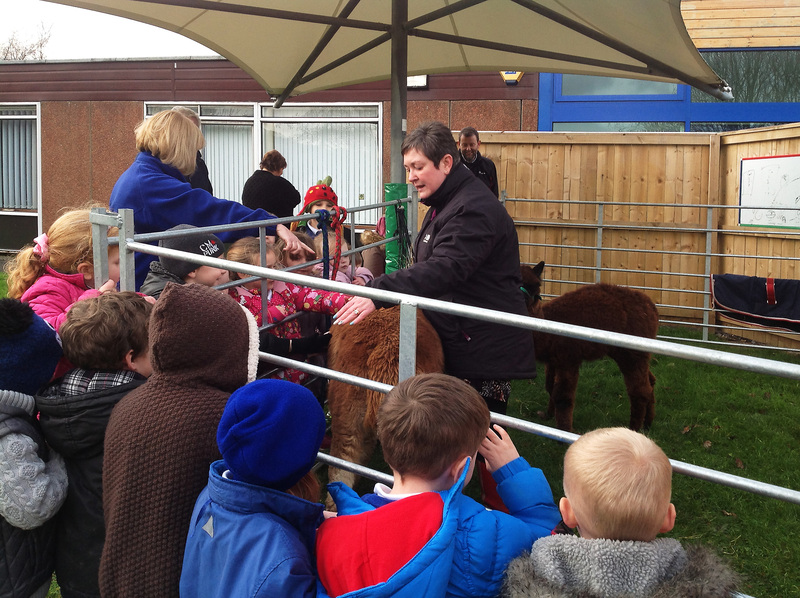 Jan gave a presentation on alpacas covering the basics of the breed and some interesting facts. 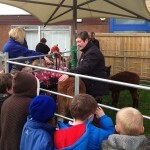 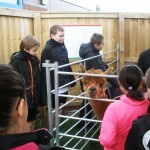 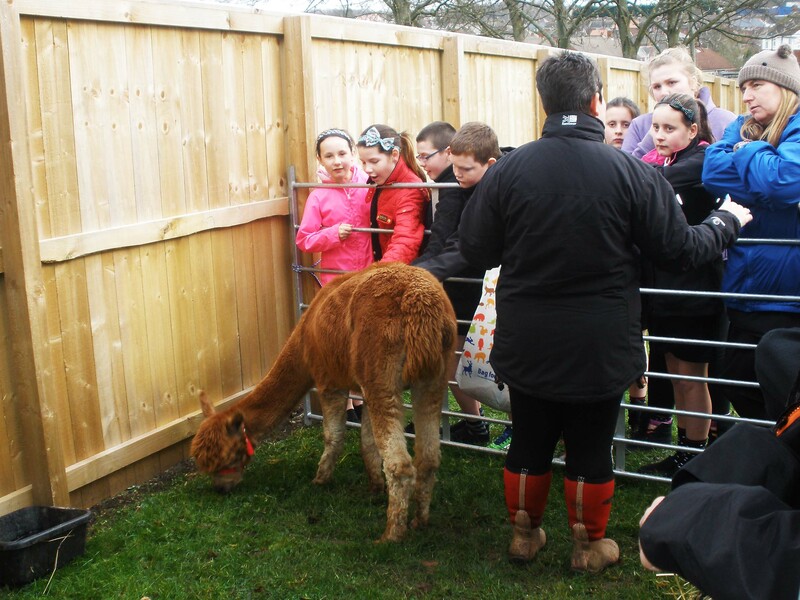 Children from the whole school were introduced to the alpacas and talks changed to appeal to the different age groups. 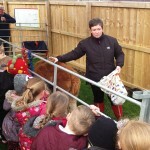 Jan visited the schools a week later to give a follow up presentation in class. 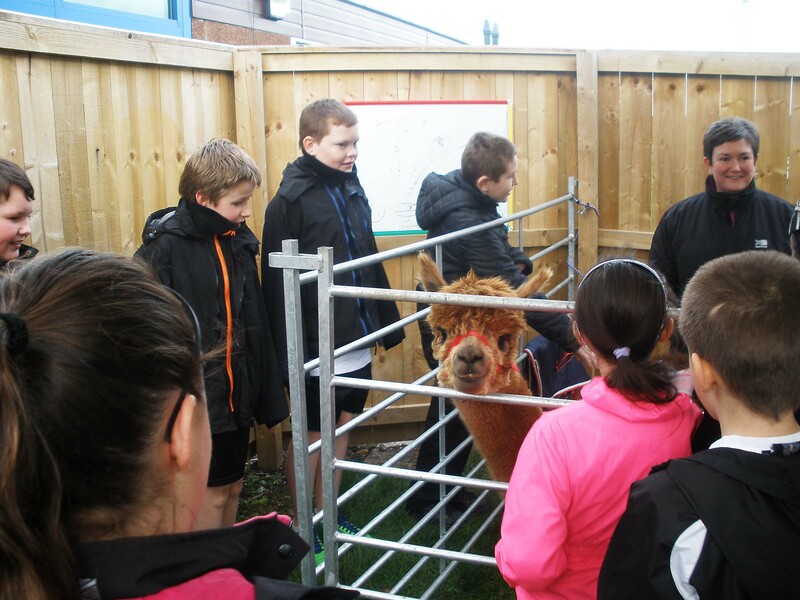 This helped with a number of curriculum subjects such as how the breed has evolved to suit climate, human intervention etc.